Celadon Software House Client Reviews, Rating and Analysis Report. Celadon have developed manufacturing and inventory management software to coordinate remote facility management with office management in real time, integrated it with existing CRM and accounting systems solutions. Celadon is amazingly flexible company. The coopiration with them is so tight, it's like an own sowftware development department in our company. Professional and friendly staff, on-time delivery and high-quality results. 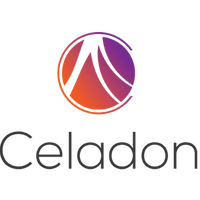 We've worked with Celadon on the huge development project and we are happy with the results and we will continue working with them.